The beautiful thing about Permanent Eyeliner is it's always perfectly placed! MPi Clinic eyeliner can be soft and natural in appearance, or we can create a dramatic look. With a lash enhancement, color is applied between your lashes, making your lashes look darker and thicker. For a full Eyeliner result, pigment is placed above the lash line on upper and/or lower eyelids. The subtle combination of a lash enhancement and full eyeliner creates a spectacular look! When in the hands of professional cosmetic artist Shelby McIntosh, the pinpoint accuracy of the specialized tattoo equipment allows her to place a precision line that is not always possible with eyeliner pencils. This procedure is also a great option for anyone who is allergic to traditional cosmetics. Some women who have difficultly applying make-up because of poor vision or physical limitations can also benefit from Permanent Eyeliner. Your comfort is important to MPi Clinic, this is why we proudly perform a 3-step numbing technique! 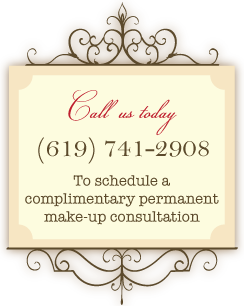 This allows our clients to remain comfortable during the cosmetic tattooing procedure process. After completion, you will receive a post-treatment care instructional sheet along with proper topical gel for application to your Eyeliner. Approximately 4 to 6 weeks after your initial procedure, you return to our clinic and we enrich your Eyeliner with color again to ensure a seamless finished look. Now enjoy waking up with make-up! If you desire the appearance of thicker, fuller lashes but want to keep a more natural look, an Eyelash Enhancement will deliver. This process applies color between your lashes for a lush full lash line result.